Dear Nissan, Please Don't Kill The Z-Car! With the 370Z on the verge of being discontinued, we plead with Nissan to keep the Z car alive. You see it was Mr. K who convinced Nissan HQ in Japan to re-enter the US market in 1960. He was also the man that convinced them to offer the Datsun 510 with a larger 1.6-liter engine to make it suitable for American motorways. But the Fairlady – Nissan/Datsun’s compact roadster – was coming up for replacement, and Nissan was after a new halo car. The Japanese carmaker began work with Yamaha on a prototype, but in 1964 the project was canned, only for Yamaha to link up with Toyota – leading to the . Mr. K wouldn’t let it rest, and as president of Nissan USA at the time he recognized the importance of a global sports car. Together with nine other Nissan employees, Mr. K set about designing and developing the first Z-car, the Datsun 240Z. It was also known affectionately by some as the Fairlady Z and ushered in a new generation of two-seater coupe-styled GT cars for Nissan. The 240Z paired sporty styling with endearing handling traits, courtesy of a rear wheel drive chassis and independent suspension comprising MacPherson struts up front and Chapman struts at the rear. Power came from a 2.4-liter inline-6 cylinder gasoline motor that developed 151 horsepower and 198 lb-ft of torque, channeled to the rear wheels through a 4-speed manual gearbox. But at just 2,301 pounds, the 240Z was a relative featherweight, enabling a 0-60 mph time of 8.0 seconds and a top speed of 125 mph – both impressive figures for the era. The 240Z would grow into 260Z and 280Z incarnations with larger engines and extra horses under the hood. There was even a Fairlady Z launched with a 2.0-liter engine, with later models receiving engines from the Skyline GT-R, but it was always the first Z-car, the 240Z, that was the most special for being the first of its ilk. The second generation Z-car arrived in 1978, moving up market to try and cater to an audience that wanted more luxury from their sporty GT cars. It was officially dubbed the Nissan/Datsun 280ZX. Two and four seat (2+2) body styles could be had, with the interior featuring more luxurious materials, more comfortable seats, and extensive sound deadening. Along with the interior luxuries, a softer suspension setup and an additional 500-600 pounds ensured the 280ZX wasn’t as driver-focused as the 240Z was. It also wasn’t as powerful. Though it used the 2.8-liter inline six from the 280Z, its 135 hp was less than the 240Z and the acceleration was slower than its forebear. A turbocharged version of the 2.8-liter engine was introduced that rectified the power issues, offering up 180 hp and 203 lb-ft exclusively for the US market. Initially it was only offered with an automatic gearbox, but a manual soon joined it. The 280ZX was a softer Z-car, one that enthusiasts would no doubt overlook. The third and fourth generations were based on the same platform as each other, dubbed the Z31 300ZX and Z32 300ZX respectively. The Z31 introduced a 3.0-liter V6 engine for the first time, delivering 160 hp. Rear wheel drive was once again standard, but for the first time, electronic fuel injection made a debut. Though the Z31’s chassis was based on the 280ZX it replaced, it had evolved into a much sweeter handling sports car, with Nissan once again finding its way. For the fourth generation of the Z-car, the 1990 300ZX (Z32), an entirely new design was introduced. Additionally, a twin-turbocharged version of the V6 was offered in addition to the standard naturally aspirated V6. The turbocharged motor developed 300 hp compared to the 222 hp of the standard model, and completed the 0-60 mph sprint in less than six seconds. The twin-turbo 300ZX also featured Nissan’s all-wheel steering system, dubbed Super HICAS, which sharpened the 4th gen Z-car’s handling abilities even further to embed it as an enthusiast’s classic. 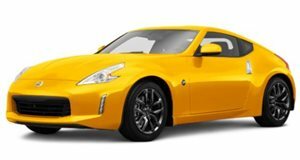 There was much deliberation as to whether Nissan would continue the Z-car lineage after the Z32 ceased production in 1996 for the US market, but 2002 saw the reveal of the 5th generation Nissan Z-car. The 350Z was benchmarked against and competed with the Porsche Boxster, and featured a 3.5-liter VQ series V6 engine under the hood that generated 287 hp at launch – though this later rose to 300 hp. Though the 350Z was a portly thing, it handled superbly, with some models featuring Brembo brakes and limited slip differentials. A 6-speed manual gearbox was the gearhead’s choice of transmission, sending power to the rear wheels, though Nissan also offered a 5-speed automatic gearbox as an option. The 350Z was also the first Z-car to get a Nismo version, along with several limited edition variants. , driven by DK, the Drift King and the films main antagonist. From 2002 to 2009, the 350Z proved to be a Z-car for the masses, especially after the R35 GT-R debuted in 2007 to leave the 350Z as Nissan’s junior sports car. Its iconic styling and naturally aspirated engine cemented the 350Z as a firm favorite among JDM enthusiasts, but eventually, it too needed replacing. In 2009, the 350Z evolved into the 6th generation of the Z-car. 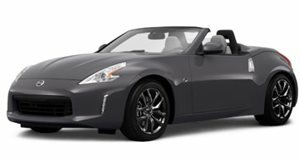 Based on the same Nissan FM platform as the 350Z, the 370Z featured a larger version of the 350’s V6 engine (now up to 3.7 liters) with outputs of 332 hp, though the Nismo version got 350 hp. A 6-speed manual gearbox was once again the driver’s choice to send power to the rear wheels, as the optional 7-speed automatic was a sluggish alternative. Since its introduction, the 370Z has been offered in various trims and limited editions, with updates and refreshes keeping it alive. A 7 that included a new clutch to make the manual easier to live with – but in an era of turbocharged sports cars, the 370Z has become an anachronism – out of time and place. Though it might be exceptional, it’s a relic from a time before – old school driver enjoyment with a howling V6, manual gearbox, and rear wheel drive. Many have criticized the 370Z’s old school nature and inability to move with the times, but for many others it’s a reminder of just how good the old days were. Alas, , and with it, the Nissan Z-car may well have met its demise. After nearly 50 years of rear-wheel drive Japanese performance there are doubts whether Nissan will continue the Z-car. The Z-cars have been cars of immense importance over the decades. They were the purest of driver’s coupes, the best GT cars to arrive out of Japan. They have been exceptional pieces of engineering, and though they’ve all worn a Japanese badge, the humble Z-car was one that was birthed for the American market. It might have been a global sports car icon from a Japanese brand, but the Z-car is as American as apple pie, baseball, and about as American as the Ford Mustang itself. It’s our own piece of automotive heritage, and for years it’s been a beacon of pleasure for JDM aficionados and driving enthusiasts alike. So for all the joy it’s brought, and for all the heritage and history the nameplate holds, Nissan, please don’t kill the Z-car!